Bank of America Raising Its Minimum Wage To $20 An Hour The wage increase, which will be phased in by 2021, comes as the strong economy means employers are competing to fill open positions. People walk past a branch of Bank of America in New York City in 2015. The bank announced Tuesday that it's raising its minimum wage to $20 an hour by 2021. Bank of America will raise the minimum wage for its employees to $20 an hour in the next two years and freeze health care cost increases for lower-paid workers, the company said Tuesday. The hourly pay will rise to $17 starting May 1 and then increase to the higher rate by 2021, CEO Brian Moynihan said. "If you get a job at Bank of America, you'll make $41,000" a year, he told MSNBC. "With the success our company has ... we have to share that success with our teammates." Sheri Bronstein, the company's chief human resources officer, said in a statement that the bank is raising its minimum wage "because we believe that to best serve our customers and clients, we need the best teams." Bank of America said it last raised its minimum wage to $15 an hour two years ago. "The average rate for all U.S. hourly employees is significantly above this level," it said. This latest move comes at a time when employers of all sizes are having to compete harder to fill open positions. "Banks in particular, they're compelled to raise wages somewhat to recruit staff. So this is something they would be doing anyway, because there's a tighter labor market and that's what happens," says Ben Zipperer, an economist at the Economic Policy Institute. Zipperer also notes that the announcement comes one day before Moynihan is to appear before the House Financial Services Committee, along with the heads of JPMorgan Chase, State Street, Morgan Stanley, Bank of New York Mellon and Goldman Sachs. "It's hard to avoid noticing the particular timing of this announcement," Zipperer says. The executives are expected to face tough questions from lawmakers about bank profits, regulatory issues, consumer protection and executive pay. The heads of major banks typically make outsized salaries compared to their employees. Moynihan, for example, earned $23 million in 2017, or about 250 times as much as the median bank employee, according to a filing by Bank of America last year. A group that has been working to unionize employees at banks welcomed the news of higher wages at Bank of America. 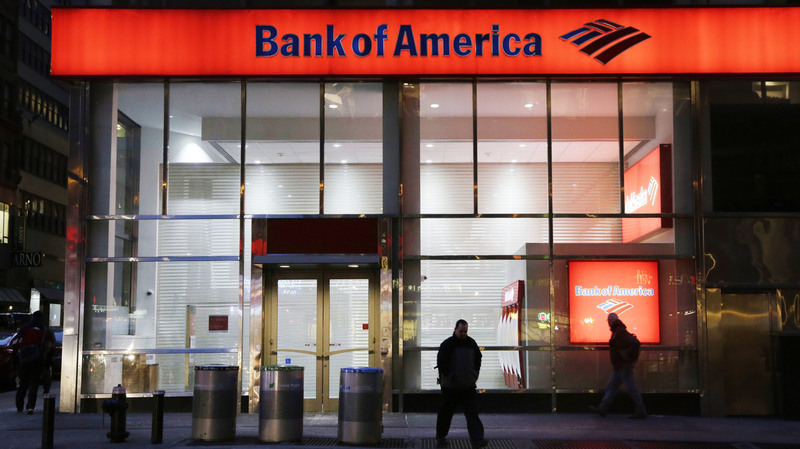 "It's a good thing to see Bank of America acknowledge that base wages — not metrics and incentives — are the surest way to improve the banking experience and the lives of its workers," said Nick Weiner, organizing coordinator at the Committee for Better Banks. The higher minimum wage will affect "tens of thousands" of Bank of America employees, but not contract workers, the bank says. Like many big companies, Bank of America contracts out a wide range of jobs, from software development to janitorial services. The contractors are not required to increase those workers' pay, but the bank says it encourages the contractors to pay competitive wages. The House is considering a bill to raise the federal minimum wage from $7.25 an hour to $15 an hour. The bill is backed by Amazon, which last year committed to paying all of its workers at least $15.